It adds a lesser power that consume a Dragon soul to get temporary and permanent bonuses. I tried to mimic Miraak's power when he consumed a Dragon souls to heal himself. Since a Dragon soul is "rare" and fully healing you would have been equivalent to taking a "cheap" health potion, I decided to spin off the power a bit to make it more appealing but still balanced. Increase health, magicka and stamina regeneration rate by 1000%. 1000% might appear a lot, but most Heal spells will outperform this. Reduce cooldown between shouts by 100%. Free shouting to your heart's content for a limited amount of time. Increase health, magicka and stamina regeneration rate by 2%/Dragon soul consumed. 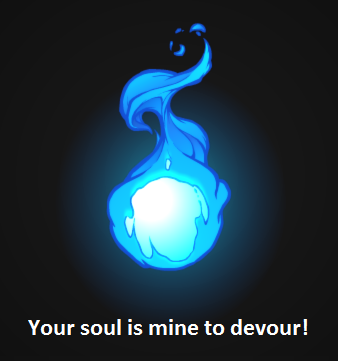 Reduce cooldown between shouts by 1%/Dragon soul consumed. Temporary bonuses last for 30 seconds. Less than that and it feels like you don't have time to use it. More than that and it feels like a bit too much. Permanent bonuses top at 25 Dragon souls consumed. This means the permanent bonuses will never be greater than 50% health, magicka and stamina regeneration rate and 25% reduced cooldown between shouts. Not as efficient at lower levels. Since the efficiency of regeneration rate is directly tied to your maximum health, magicka and stamina, you're limited by the amount you have and to a limited extent by your level. As you level up, you gain more health, magicka and stamina which in turn will make the power better (7%/second of 100 HP is much lower than 7%/second of 500 HP). The goal was to balance the power for all levels. For an automatic install without risk of errors, I suggest you use the NexusModManager. For a manual install, extract the files from this mod and copy them to the appropriate folders. Open the console and type: SetStage TTR_Ziil_Los_Dii_Du 100. Save and uninstall the mod manually or with your mod manager. I'm not sure the SetStage is still necessary. In the past, there were some CTD when you deactivated an ESP with a spell already learned by the player. I've tried to reproduce this on my game but wasn't able to. I'm putting it here as the "safest" method just in case you need it. I've receive multiple requests to make this as a shout so let me explain why I didn't. The scene with Miraak saying those words is just a scene, there is no audio for those words. The only ressource for audio would be Miraak saying the line. Even if you put aside the fact you would hear Miraak's voice when shouting, the problem is it would be illegal from a copyright point of view to edit the original audio and repack it under a mod. Not to mention the mod would be removed from the Nexus and I could be banned. So audio is out of the picture. The words Ziil Los Dii Du have no art/graphic either. I could use other symbols, and I'm sure I'd have some lore zealot to remind me they don't match, but there's also the fact the "shout" is 4 words instead of 3. That means the CK cannot handle it and neither can the in-game UI. So technically, graphics are out of the picture too. While I agree this would have been really epic, what are we left with in reality if you don't have audio and graphics to support the idea? I'd say you have to think outside the box a little. Technically speaking, a shout is 3 words. When Miraak uses his "power", he uses 5 words (DragonName, Ziil Los Dii Du) and they are subtitled like any normal dialogue. It wouldn't be that far fetched to consider this more like a "sentence" in dragon's tongue than a shout. With that said, it open up the possibility the effect came from something else and since a lesser power only available to the Dovahkin could fit the bill, that's the way I decided to go about it. It's not perfect, but it's as good as it can be within the realm of reality. There seems to be a lot of FUD about scripts so let me explain a couple things. Scripts are part of the game, without them vanilla Skyrim wouldn't work at all. All vendors and trainers are purely scripted. Most of the quests wouldn't work without scripts and there must be countless other scripted things in that game I never thought about. Scripts aren't inherently bad, inexperienced mod authors are. Because mod authors used badly explained functions in the past, which is the Creation Kit wiki's fault, scripts have been pointed as the cause for all the problems in the world... Like most things in life, clueless people will mess things up, but those that do know how to work with them can do wonders. As a professional programmer myself, I make sure to the best of my knowledge that all my scripts won't cause you any trouble. I also make sure they are upgradable and can be stopped at anytime. With that said, yes there are scripts in my mod. In fact there are 2. The first script will execute once and teach the player the lesser power. The second script manages the different permanent bonuses and the consuming a Dragon soul part when you cast the spell. Those scripts cannot mess your game and are extremely fast to execute. I also packaged the sources in case you want to look at them and decide for yourself. Stop worrying your world's gonna implode and enjoy the mod. I'll fix problems (if any), offer support and answer questions when needed.